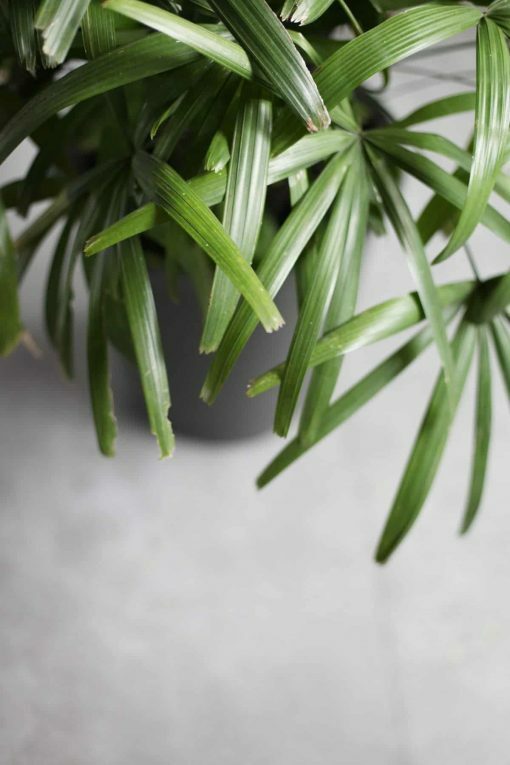 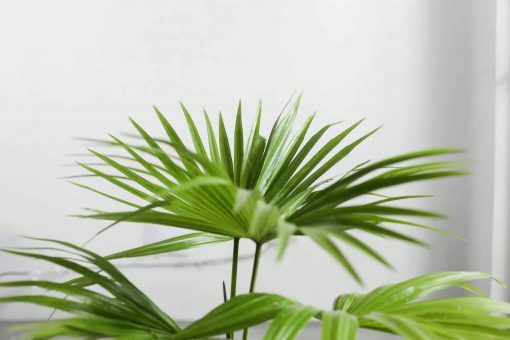 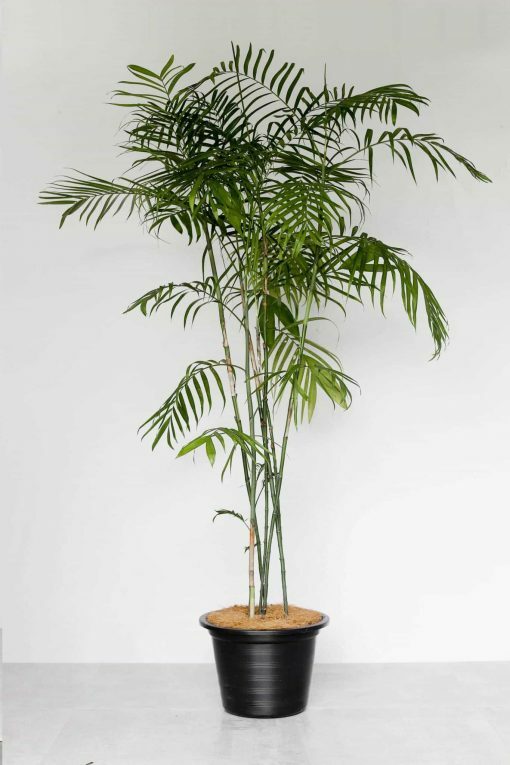 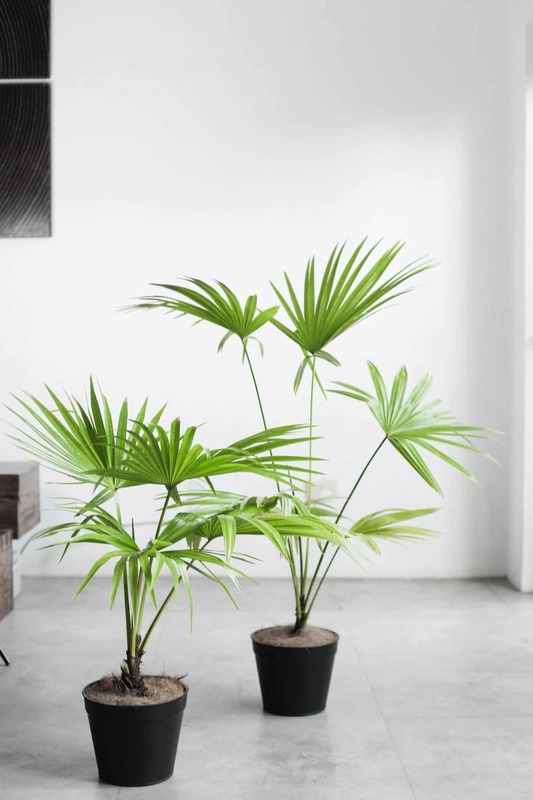 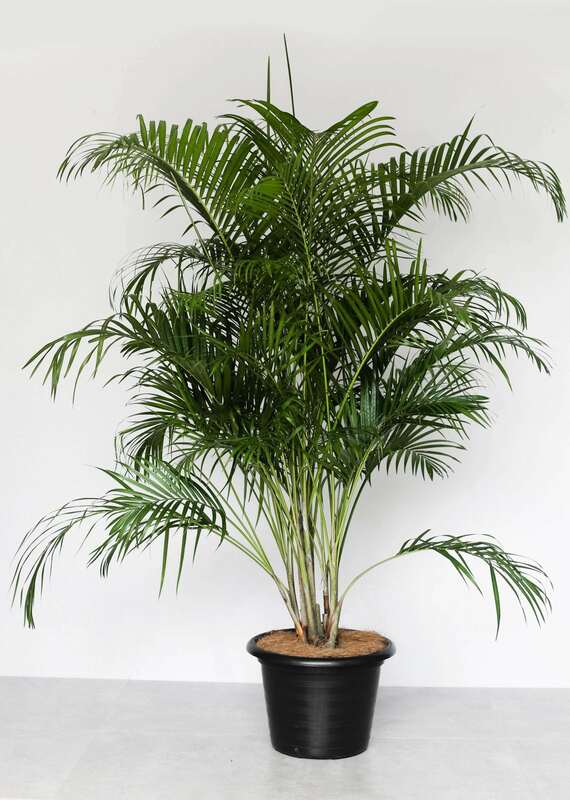 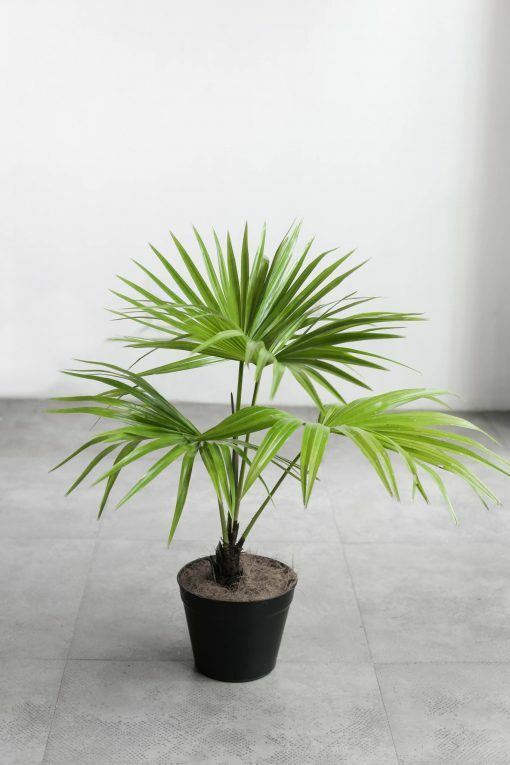 Bring the tropics inside with this beautiful fan palm. 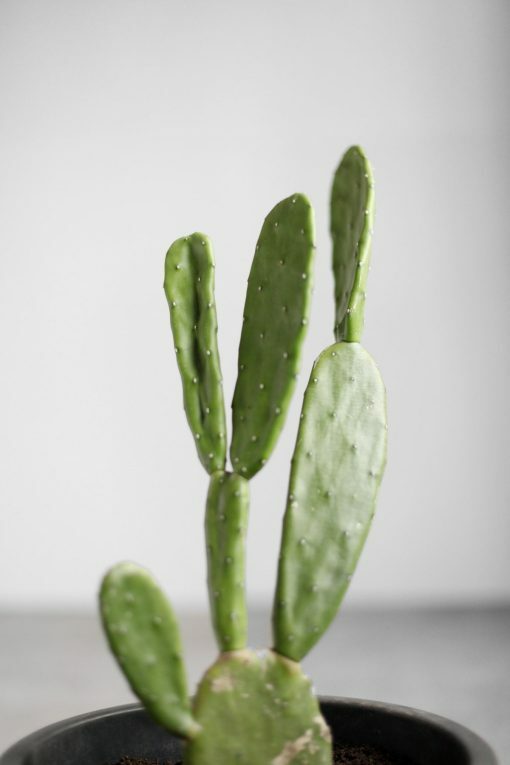 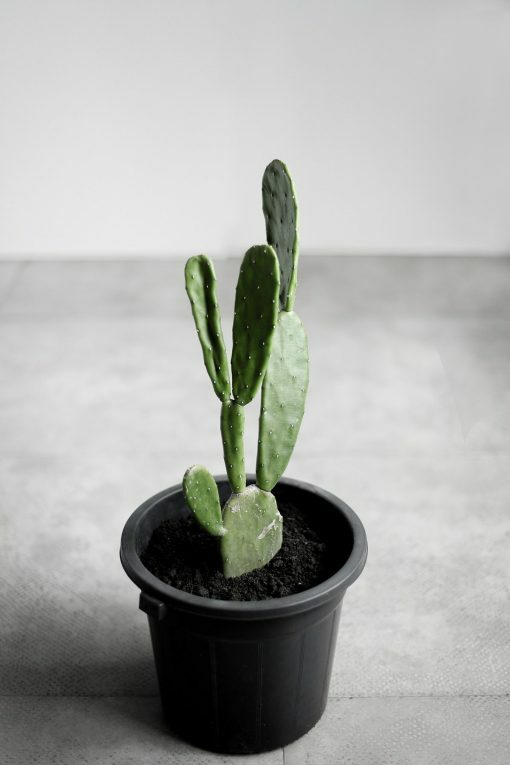 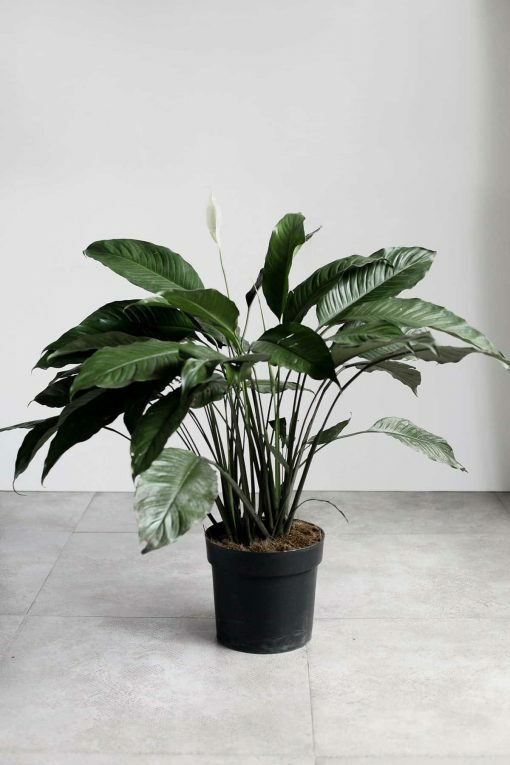 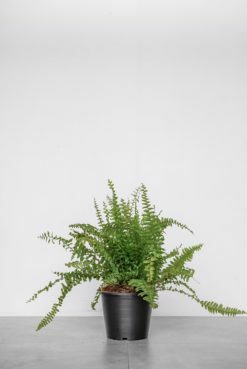 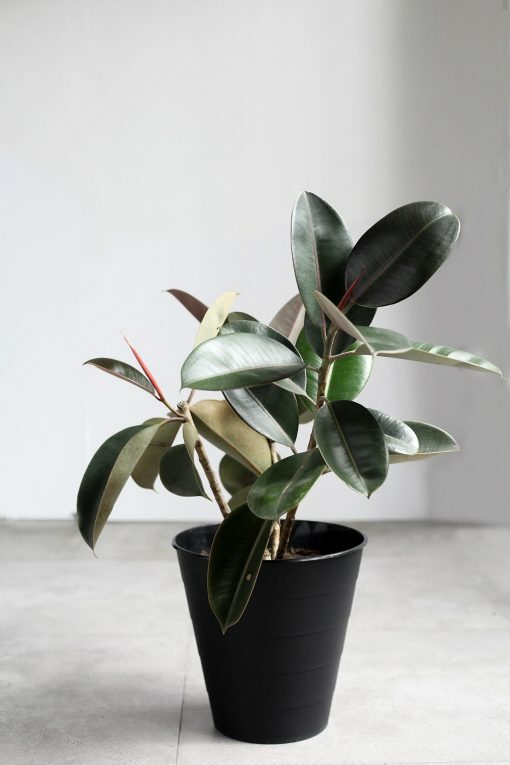 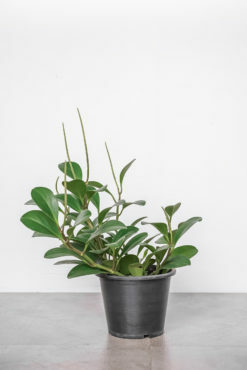 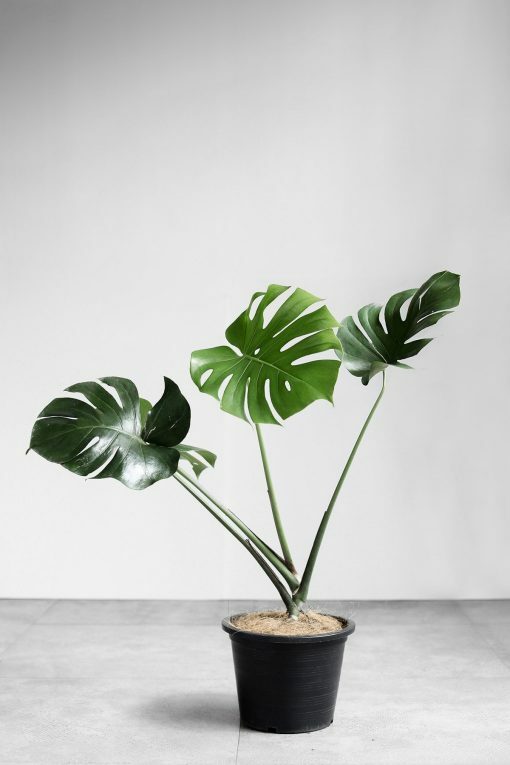 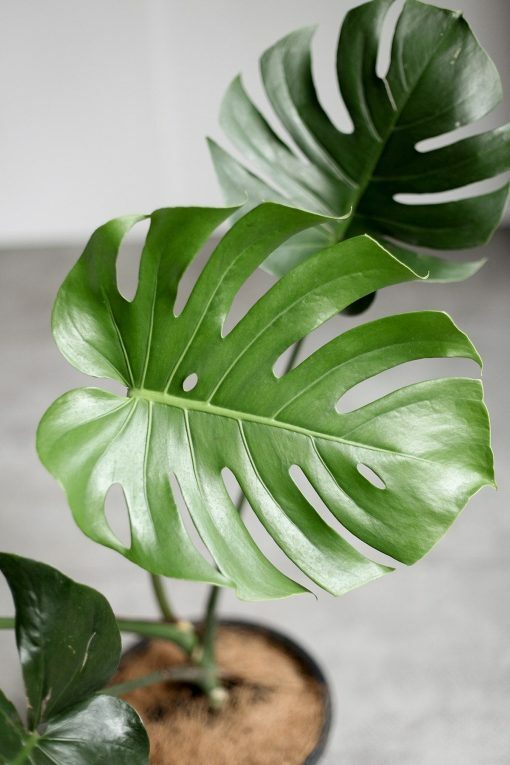 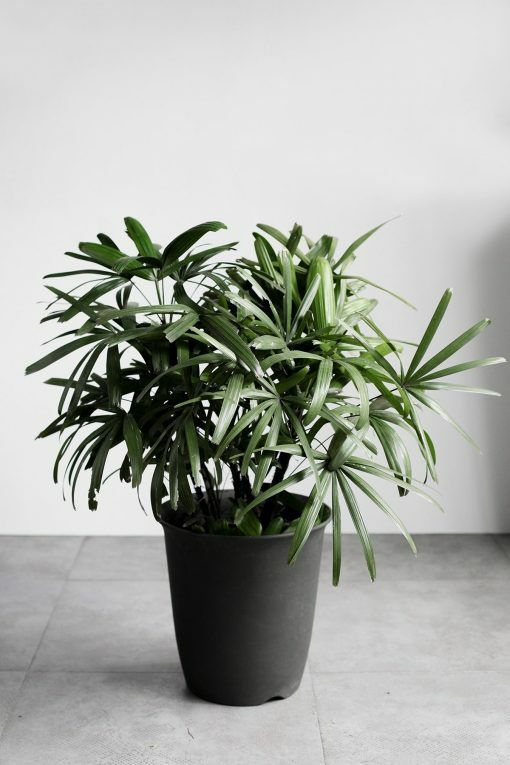 2.5 -3 FT., 3.5 – 4 FT.
Grows best in bright, indirect light but can tolerate full sun once established (though the leaves may sometimes get scorched by direct sunlight). 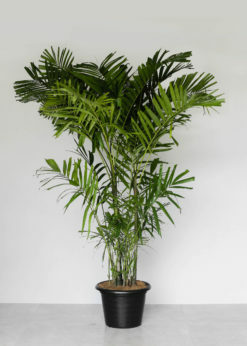 Introduce a the plant to sunlight gradually to prevent sunburn. 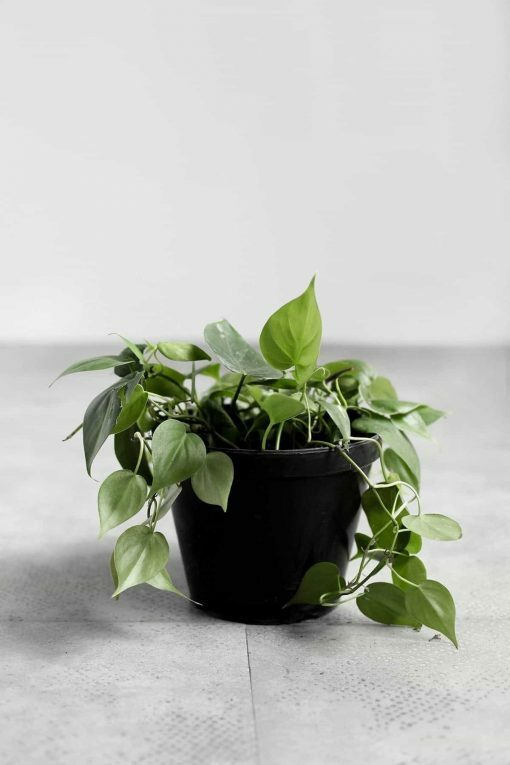 Keep soil moist – water weekly but avoid still water at the bottom of the pot. 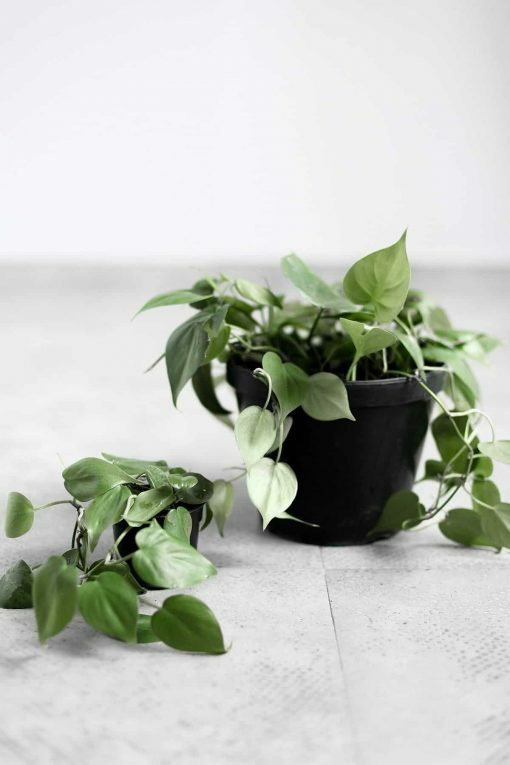 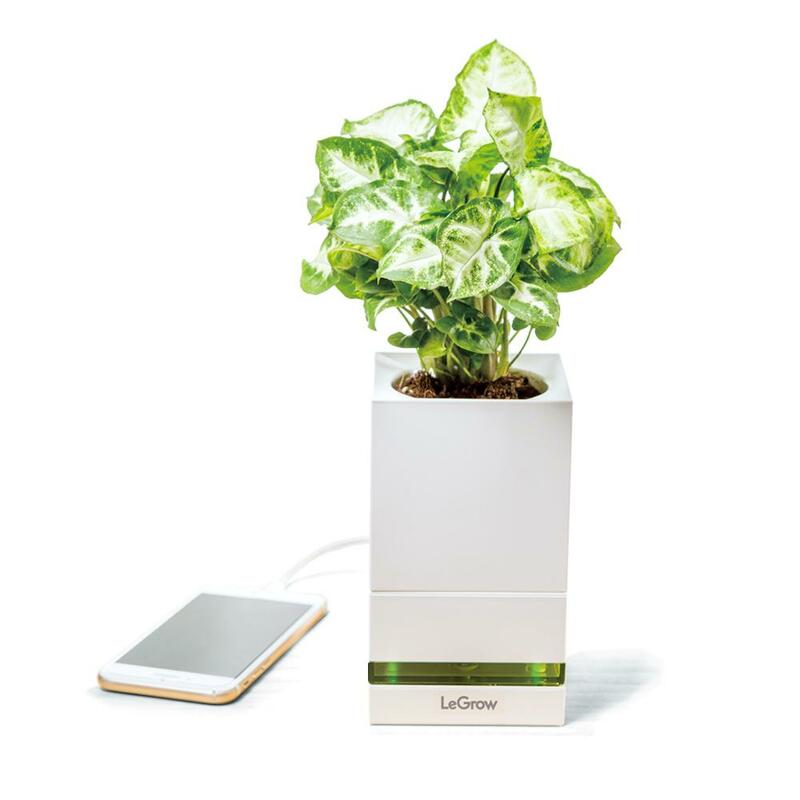 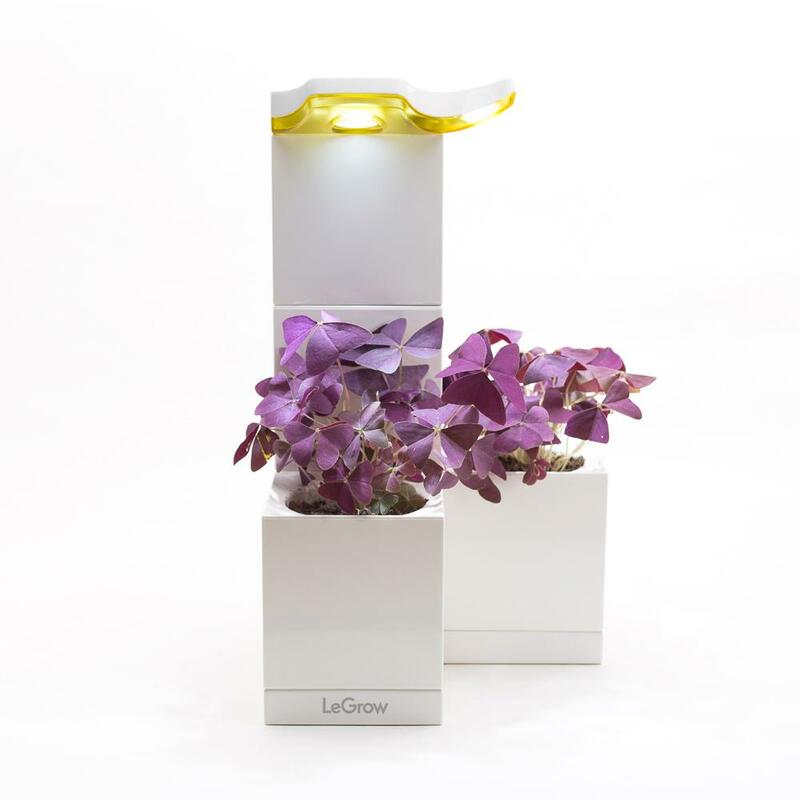 Don’t water your plant under direct sunlight.